The Holsteiner breeding stallion Cheenook passed away last weekend after a severe colic attack. The bay stallion by Caretino out of Trika (Romantiker x Herbstglanz) underwent colic surgery, but couldn't be rescued. He was humanly put down. 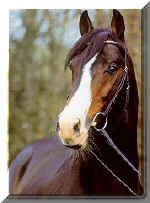 The 17-year old Cheenook was mainly a show jumping oriented stallion, though he got to breed to many dressage mares as well. 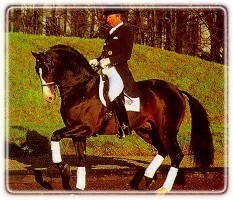 He did his Stallion Performance Test in Medingen in 1991 and finished third. In 1999 he got his first son, Coco Cavalli got licensed in Oldenburg . His most famous offspring are jumpers Cyrenaika FRH, van Schijndel's Cindy, Centrio, Calgary , Condor and Cassiopeia. Under Olivier and Katrin Luze, Cheenook competed at Prix St Georges level and was trained at Grand Prix level in dressage. 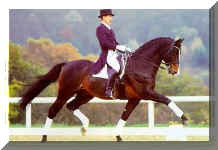 German top dressage pedigree. His father Caretino is one of Holstein ’s top stars of this century. CHEENOOK is approved for almost all German studbooks. 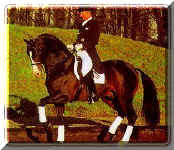 Although he has been schooled as a dressage horse, his offspring is also well known as jumping horse. In 2002 he received 140 points at the jumping index in Germany and with that he was one of theMother’s father ROMANTIKER is one of the first approved son's of the world-famous RAMIRO. Romatiker and Cheenook share the same pedigree basis of stam 628 B. From this line also the stallions: Alcazaro, Linos, Rhenus and Feldherr are approved in the past. 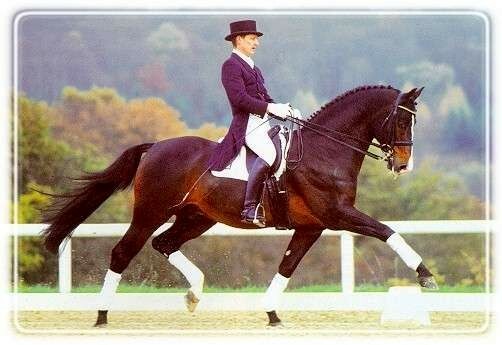 In the remaining part of his pedigree we find a interesting outcross with the trakhener stallion Herbstglanz as well as the Arabian stallion Sahib. At this moment Cheenook is successful in the Prix St-George.